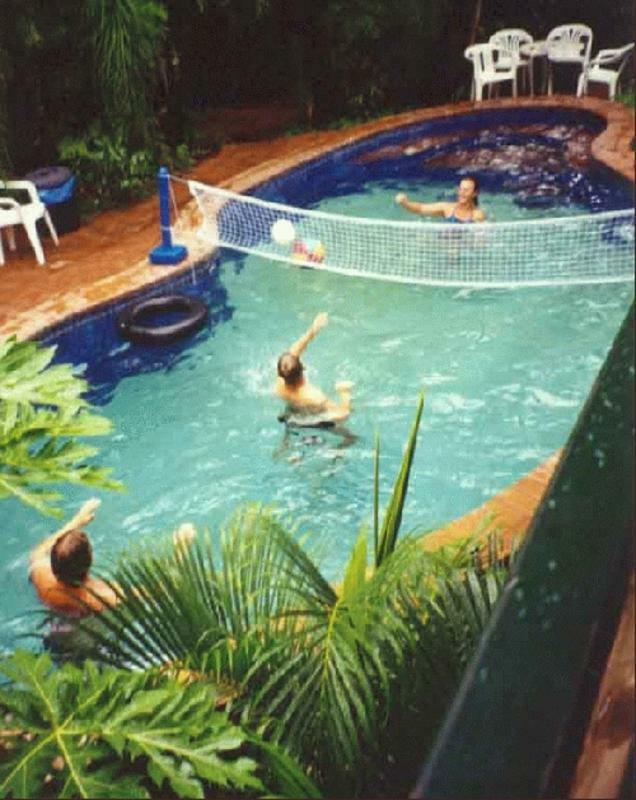 Frogshollow was rated as â€˜the best backpackers in Darwinâ€™ by Lonely Planet (2002). We are a family-owned and -operated hostel and, being travellers ourselves, we know the importance of providing excellent facilities, service, and value for money. 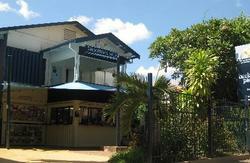 We offer a clean, friendly and relaxed hostel environment thatâ€™s full of atmosphere. Our guests always find it is a shame to leave and invariably tend to stay longer than originally planned. Located just opposite the historic Frogshollow Park in Darwin city, youâ€™re sure to get a comfortable and quiet nightâ€™s sleep here. We have air conditioned and fan-cooled rooms, with female or mixed dorms and a choice of private rooms, with and without ensuite. Some of the great facilities and services youâ€™ll find at Frogs include 24hr check-in, a free light breakfast, free coffee and tea all day, free luggage storage (when you book your tour through us), free use of BBQ facilities and more. Thereâ€™s also a fully equipped communal kitchen, a guest phone, public phones, fax facilities and long, cool verandas where you can sit and muse on the meaning of life or just discuss the next meal...and the whole place is ultra-clean. Our staff are all long-time, proud Territorians. Theyâ€™ll go out of their way to make sure that your stay is exceptional and unforgettable. We know it takes a bit of effort to get to the top end of Australia so we make sure itâ€™s worth it. 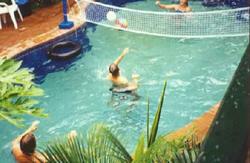 Weâ€™ll help you organize your time here by recommending activities and tours to suit your needs and interest. At the end of your stay, youâ€™ll leave this place, but this place and the people will never leave you! Our licensed tour and travel desk provides unbiased, expert information about what there is to do at any particular time of the year and, after discussing your needs, will recommend a number of options for you to choose from. Whether youâ€™re on a tight budget, have only little time, want to go on a full-on 4WD adventure, desperately â€˜neeeeedâ€™ your creature comforts, are looking for a one-way bus ticket or an â€˜Aussie Passâ€™, or all of the above, weâ€™ll help you make the most of your time in the Top End in particular and the Northern Territory in general. Weâ€™re just minutesâ€™ walk from Woolworths shopping centre, the GPO, the Mall and the Transit Centre.